A dull and miserable day, so my eyes were drawn to the forest floor. I came across these turds on a log. 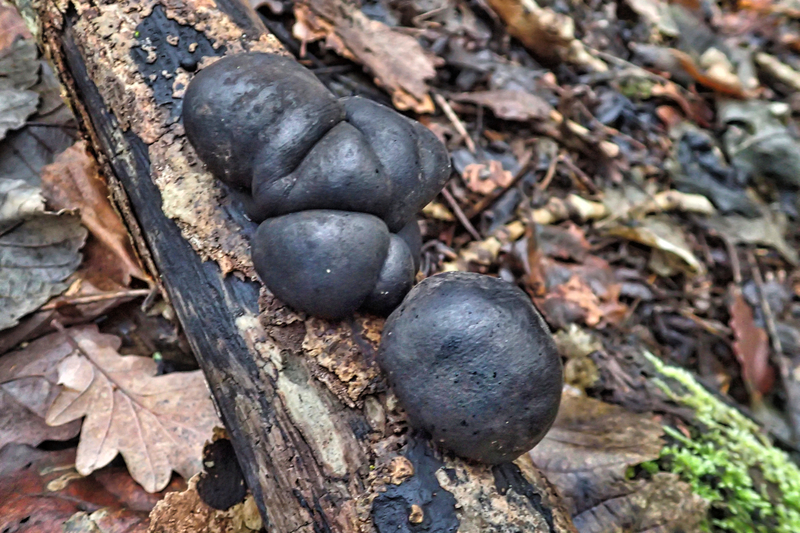 Actually, I know them as coal fungus, excellent for use as tinder for lighting fires. The 1-2 inch hard balls need to be dried out and scrapings from the inside can then be readily ignited by a spark from a firesteel or flint on steel. All good Ray Meers stuff. The Latin name is Daldinia concentrica but the fungus is also known as King Alfred’s Cakes because of their resemblance to the cakes the King is supposed to have burnt when he was hiding from the Danes. They’re often found on dead branches of the ash tree.